Ireland, the Emerald Isle. I’ve wanted to visit for absolutely years and when I was given a surprise trip for Christmas from Josh I was so excited. We headed across the Irish sea for a long weekend in Dublin last week and we loved it! 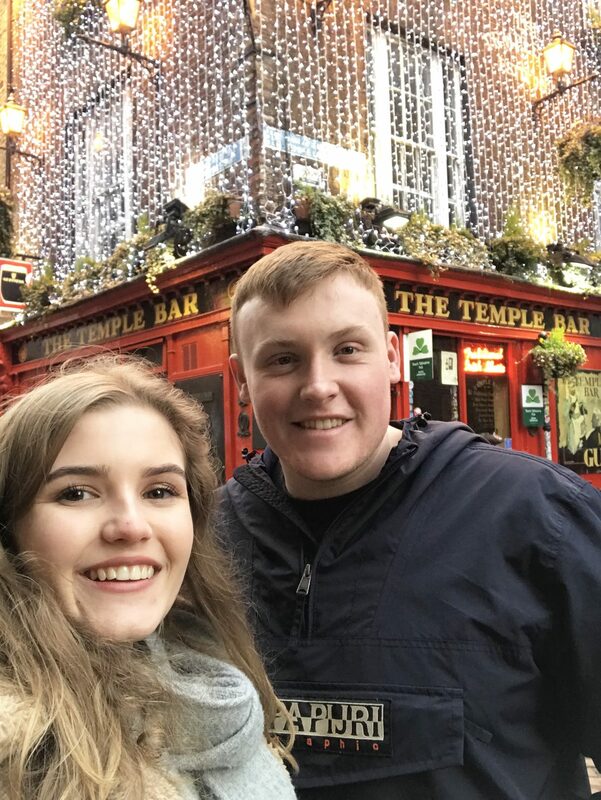 Today I thought I’d give you an idea of what we managed to see and what my recommendations are if you’re heading over soon, especially considering St Patricks day isn’t that far away. In terms of getting there I’d recommend flying unless of course you live over towards the ferry ports. We flew from Manchester airport and just about got there okay considering the airport was shut due to snow the day before! The flight is around 35 minutes so your travel time is minimal, if you can get a morning flight you can be in Dublin for around 9am and have the whole day to explore. There is plenty of transport from the airport, there is a bus stop right outside if you’re on a tight budget or aren’t staying too far from the airport. We opted for a taxi due to the weather being freezing and it turned out to be a good move. It cost us €30 but our driver gave us some top recommendations of where to go and at what times. We stayed at the Jury’s Inn Hotel, Christchurch. The location was perfect and I would stay there again. 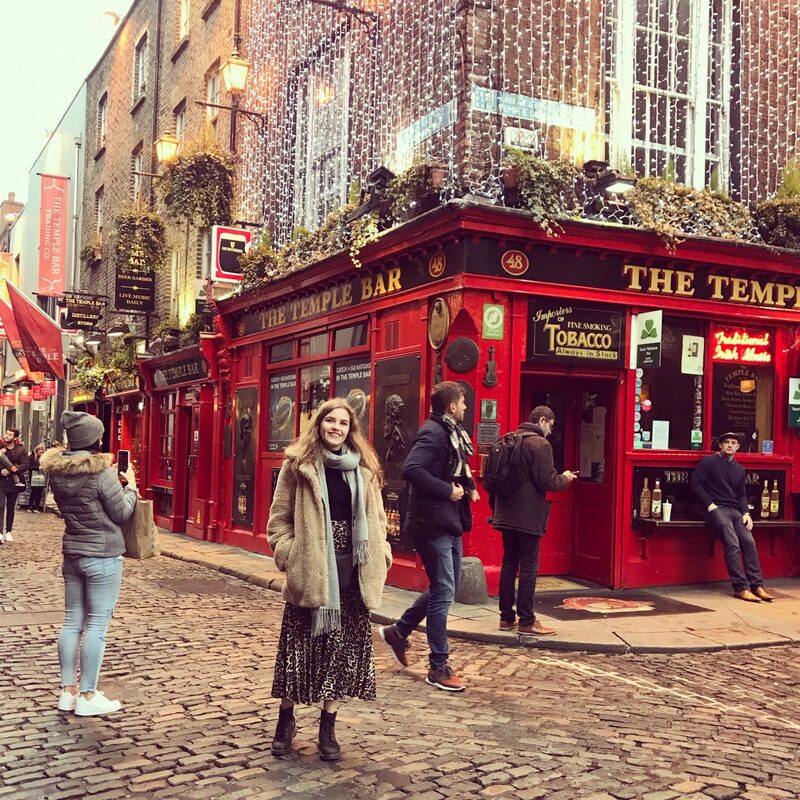 Overlooking the church you are literally 2 minutes away from the hustle and bustle of Temple Bar without the worry of not being able to sleep due to late night drinkers. It’s also next door to the best fish and chip shop in Dublin, Leo Burdocks. The staff were friendly and the room was always clean. Breakfast was available but we chose to have a wander out into town each day to look for breakfast or lunch. 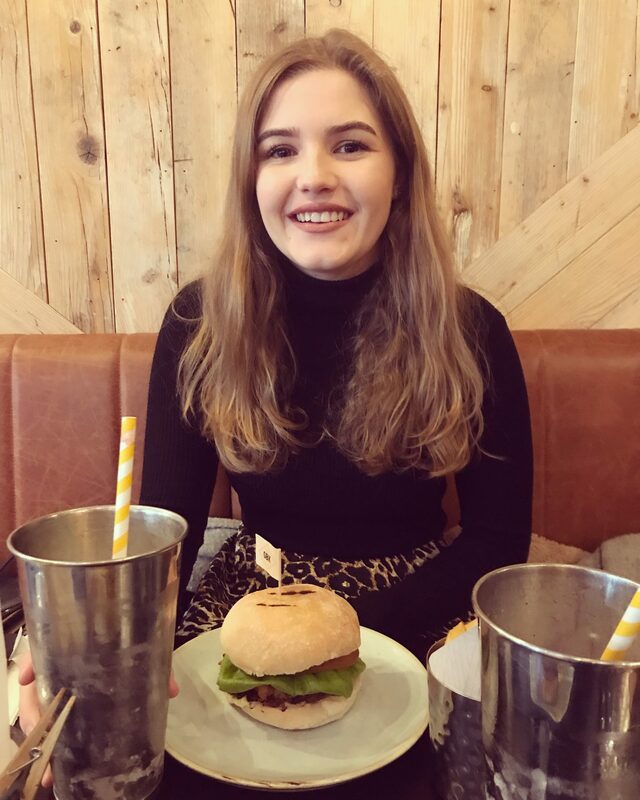 There’s plenty of choice for restaurants and bars to eat in, including chains and independent cafes. Obviously for most people one of the main reasons to go to Dublin is to drink Guinness in the bars. The famous Temple Bar looks pretty from the outside but I must admit I wasn’t a fan of it inside. It was too busy and we only managed to quickly drink a pint squashed up against a wall before we left for a more comfortable venue. However the Temple Bar area is full of “traditional Irish bars” which are slightly less crowded but still have a lively atmosphere. Our favourite bar was Oliver St John Gogarty’s. They played live Irish music every day, served a cracking Guinness and this is where we chose to watch the Six Nations match between England and Ireland. 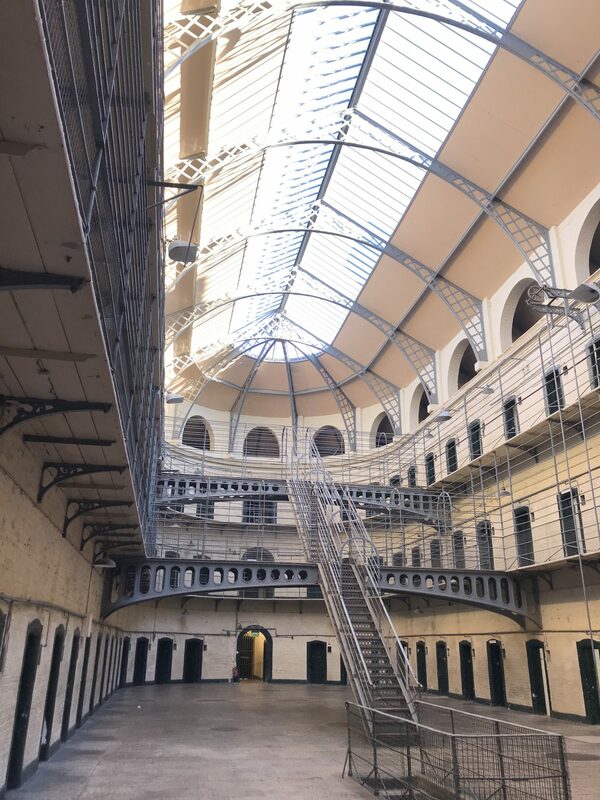 On our second day we chose to walk towards the edge of the city to Kilmainham Gaol (Dublin Prison). This is the only attraction you need to pre-book. Choose your time slot online and print out your tickets at home or print them at the reception desk. The tickets cost us about £8 each to book online. The ticket gets you a guided group tour around one of the most famous buildings in Irish history. We both found this tour super interesting as you could see how the prison developed with the times. The earlier blocks are freezing cold with no glass windows and tiny cell blocks, whilst the later additions have a newer, more modern layout. The prison is significant as it held some of the culprits behind the Easter Rising, a piece of history I find very interesting. If you’re into history or you just want to understand a bit of the culture, this is worth a visit. 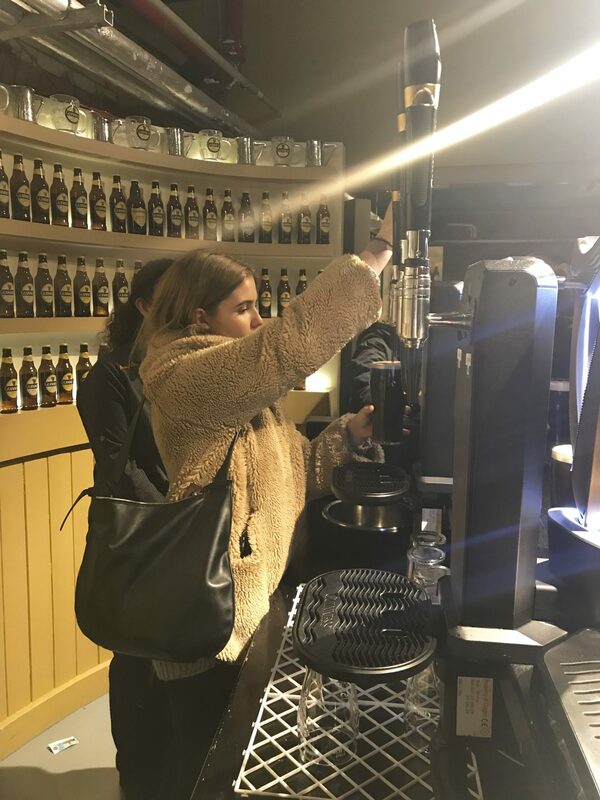 If you’ve gone to Dublin the chances are you want to pull your own pint at the Guinness factory. A top tip would be to visit the prison and then visit the Storehouse on the way back (it’s all in one straight line back to town). Adult tickets cost €25 to buy at the venue but this includes the cost of a pint and a taste test sample, and of course access to the museum- although I think you can get them cheaper online. This is a self guided tour so you can spend as long or as little as you like in each section. It’s interesting to learn how the stout is brewed, how it’s been advertised over the years and of course how it should be poured. We had a fab time and I would definitely recommend going here for an afternoon, especially if the weather isn’t great. So that’s my roundup of some things you can do whilst spending a long weekend in Dublin. Just remember you can walk nearly everywhere and there are plenty of little shops and bars down the side streets to keep you busy. I’d love to head back to Dublin one day, the atmosphere was incredible, especially because of the the rugby and I can’t get over how friendly everybody was! What are your favourite places to go during a long weekend in Dublin? Let me know in the comments below if you have any other suggestions for if I ever go back or for any readers planning a trip soon. Well worth a visit! Thank you! Great write up Meg. Dublin is a fab place, Last time I was there Leigh was busking in the street. Much better to fly than ferry, sea was that rough they run out of sick bags!